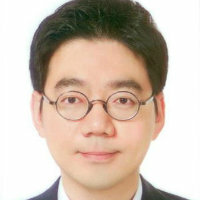 Chul Jang earned his MPhil and MSc in Actuarial Science from Cass Business School, London, MBA from KAIST, Seoul, and BSc in Industrial Engineering from Hanyang University, Seoul. His current research interest is on optimal investment and deferred annuity choices for retirement and lifetime by using multi-stage stochastic programming. European Conference on Operational Research. (Conference) Valencia, Spain (2018). Invited speaker. Co-authors: Clare, A.; Owadally, M. I.